Wait….what? How? Did you..? This just doesnt…. Time is getting a little out of hand these days. When did my friends start having babies? When did I start paying bills and owning a house and stop taking naps? Sorry, I get a little carried away. 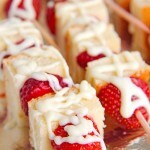 Is it too early to think about Summer and Summer food ?! Are you seeing red, white and blue? Me too! If you ask me, it’s perfect timing to start planning Summer barbecues and picnics and collecting recipes for Summer holiday baking, too. From Memorial Day through 4th of July is my FAVORITE time because I get to focus on fresh Summer Berries and all the Red, White & Blue! First of all, it’s one of the most beautiful cheesecakes I’ve made. Some of you may remember my New York style cheesecake. If you’ve ever made New York style cheesecake, it’s pretty much the same thing. 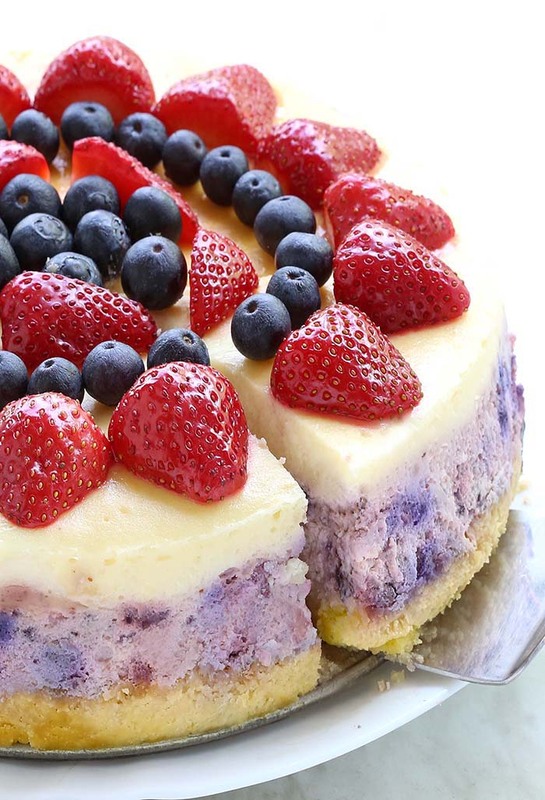 Only instead of classic cheesecake butter, you should divide butter in half and mix crushed berries in one half, and you get an amazing Summer Berry Cheesecake! 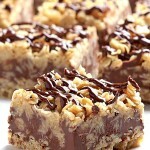 Not to mention the melt in your mouth shortbread crust! Is it not absolutely festive and stunning? 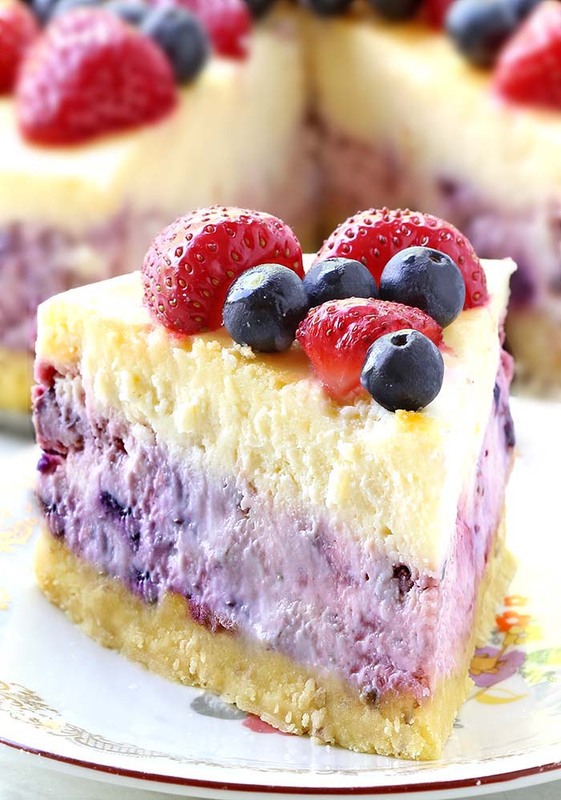 You need to make this This Summer Berry Cheesecake for a barbecue or potluck and everyone will be coming back for seconds! Wrap pan (sides and bottom) with foil. The foil gives you extra protection against water getting into the pan during the water bath step. Place springform pan in a roasting pan large enough to prevent the sides from touching. 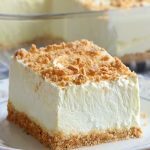 Bring a few cups of water to a boil and pour into the roasting pan, being careful not to splash any water onto the cheesecake. Fill the pan to reach halfway up the sides of the springform pan. 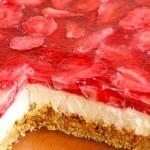 Carefully run a knife around the edges of the cheesecake, loosen sides and remove. Preheat oven to 400 F. Lightly butter, or spray with a non stick vegetable spray, an 9 inch springform pan. In your food processor ( or bowl of a stand mixer fitted with the paddle attachment) place the butter, sugar, lemon zest, egg yolks, vanilla and process to combine. Add the flour and pulse until the pastry starts to come together and form clumps. Transfer the pastry to the prepared pan and, using your fingertips, evenly press the pastry onto the bottom and up (2-3 inch) the sides of the pan. Bake 12-15 minutes or until golden brown. Set aside to cool. Reduce heat to 325 F. Wrap pan (sides and bottom) with foil. In a large mixer-bowl or bowl, beat the cream cheese until it is smooth and there are no lumps. Add the sugar, cream, eggs, egg yolk, flour, lemon zest and vanilla to the bowl and beat on medium-low speed until combined and creamy. Divide batter in half. 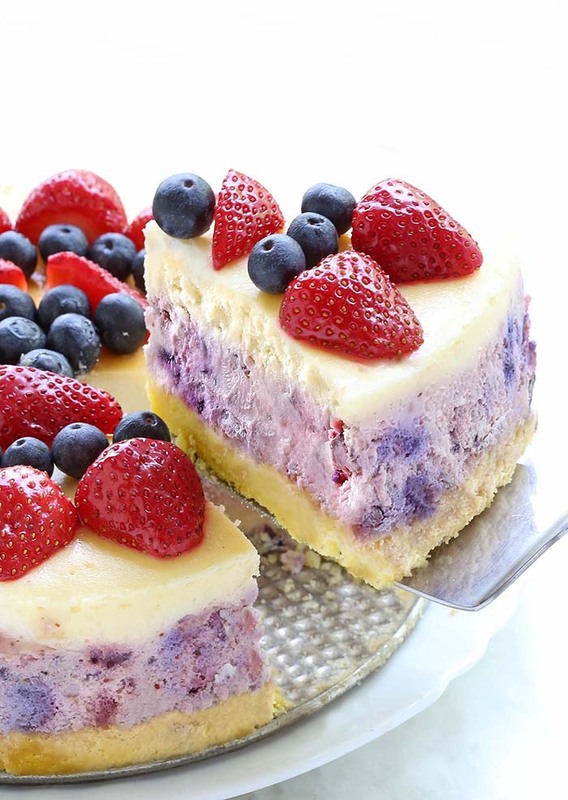 Fold crushed strawberries and crushed blueberries into half of the batter. Pour into crust. Top with remaining batter. Place pan in a roasting pan large enough to prevent the sides from touching. 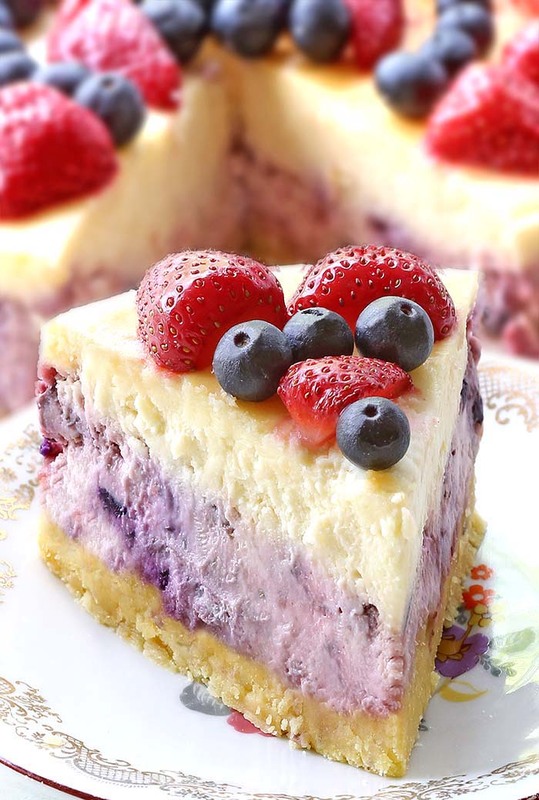 Bring a few cups of water to a boil and pour into the roasting pan, being careful not to splash any water onto the cheesecake. Fill the pan to reach halfway up the sides of the springform pan. Bake at 325 F for 1 hour and 45-55 minutes. Turn off the oven and crack the door open. Let the cheesecake cool slowly for 1 hour. Dry the bottom of the pan, cover with foil and refrigerate overnight. Garnish with sliced fresh strawberries and blueberries. What is the size of the cup? Love this. It looks absolutely gorgeous and you can change it up for whatever berries you have. Thanks so much for the recipe!